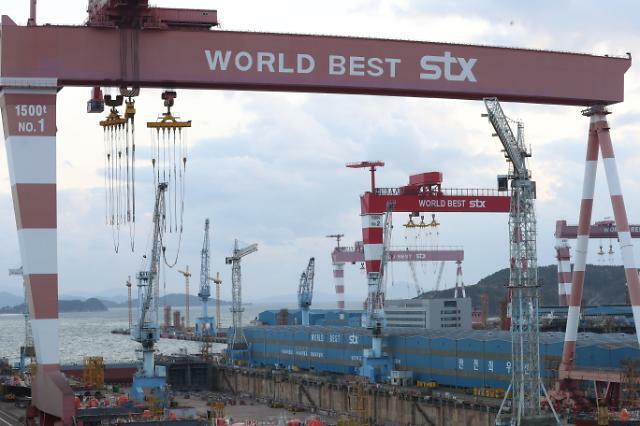 SEOUL -- South Korea's debt-stricken shipyard, STX Offshore & Shipbuilding, will be kept afloat again with a bailout from creditors after a state policy lender changed its tough stance to accept a self-rescue plan that contained unpaid leave but no layoffs. 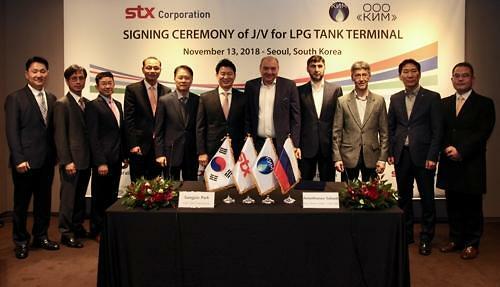 Earlier, Korea Development Bank (KDB) decided to put STX under court receivership because union leaders and company officials reached a tentative deal only after the deadline expired. The bank blasted union leaders for dragging their feet in presenting a "viable" agreement on layoffs. During the day, the deal was endorsed by a majority of unionized workers, prompting KDB to review its decision through consultations with financial authorities. KDB will issue refund guarantees for new ships to keep the shipyard running. However, KDB warned it would put the shipyard on court receivership if workers balk at their written pledge to cut costs through unpaid leave and reduced salaries. STX Offshore's CEO Jang Yoon-geun welcomed KDB's move and promised to faithfully implement a self-rescue program. He pledged a turnaround in the shipyard's business within two years, citing a gradual recovery in the global shipbuilding market. 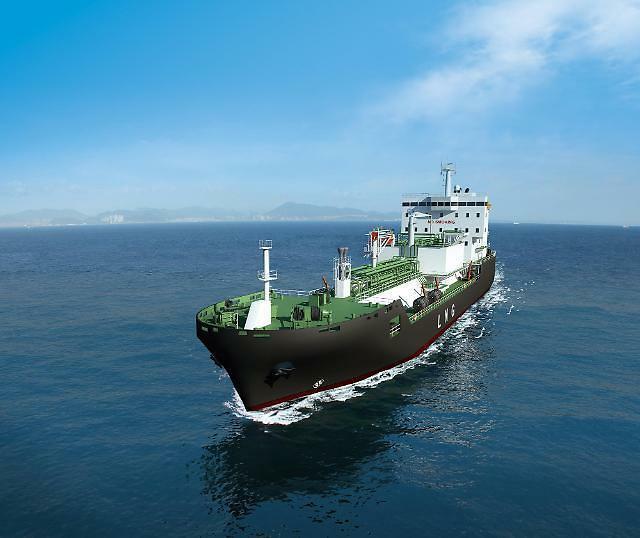 On March 8, creditors decided to keep afloat STX with a continued injection of liquidity, saying South Korea needs a shipyard capable of building small and mid-sized tankers. However, KDB had pushed for a 75 percent reduction in labor costs through outsourcing and voluntary retirement. 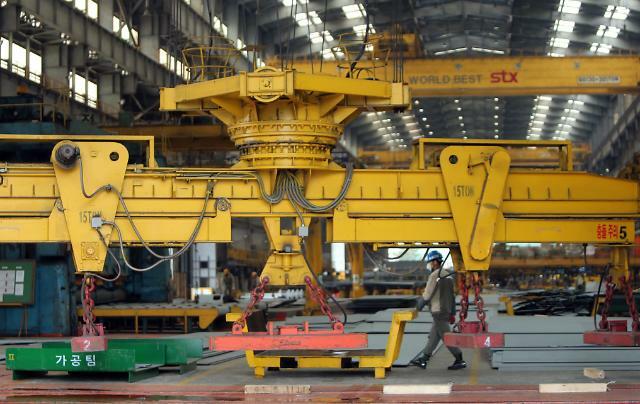 STX, which used to be the country's fourth-largest shipbuilder, began falling apart in 2008 when a financial crisis battered the global shipbuilding industry, forcing the shipyard to grab orders at lower prices. The shipyard filed for court receivership in May 2016 and resumed normal operations in August last year. Despite efforts to reduce its debt through the sale of non-core assets, the shipyard has failed to ease its liquidy crisis.